Art Basel is just a month away. Last year the fair attracted 73,000 visitors to the Miami Beach Convention Center and this year's 14th edition looks to be even bigger and better, with 267 galleries from 32 countries exhibiting from December 3rd to the 6th -- plus the former head of NYC's Armory Show, Noah Horowitz, is now running the fair. Work on the $615 million renovation of the convention center is scheduled to begin as soon as AB/MB ends, so look for big changes next year. 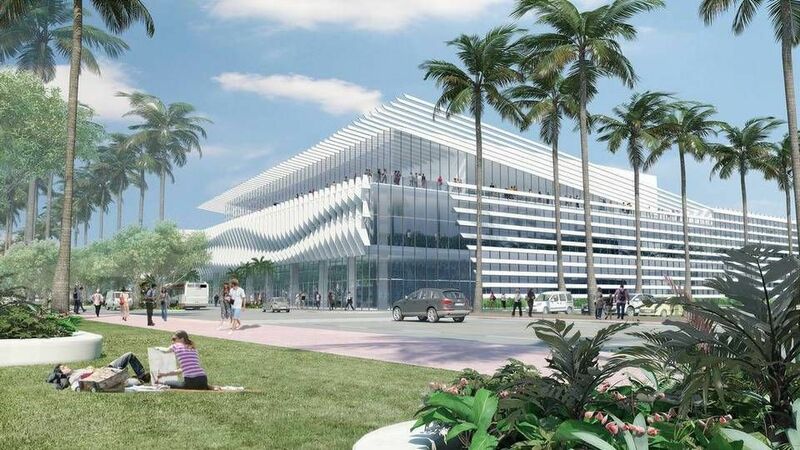 The $20 million re-do of Lincoln Road is also moving along with NYC's James Corner Field Operations, the firm that did The High Line, winning the contract to update the original Morris Lapidus design from the 1950s. All the AB/MB side-sectors return, including SURVEY with 14 booths showing "historically informed" works; NOVA, where you'll find 34 younger galleries showing new works; and sixteen POSITIONS galleries focusing on emerging artists, including Villa Design Group's installation of 10 doorways derived from the scene of the 1997 murder of Gianni Versace on Ocean Drive and, "Polyrhythm Technoir," a filmed "allegory to contemporary electronic music" by Henning Fehr, Danji Buck-Moore and Phillip Ruhr, presented by Galerie Max Mayer. 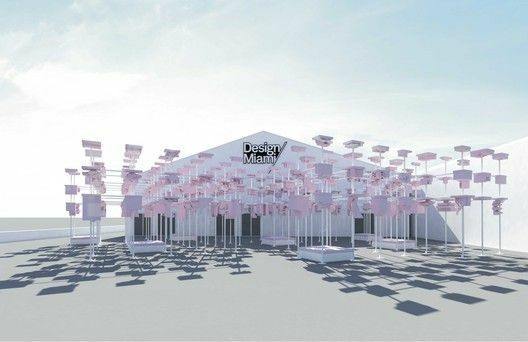 Yves Behar is the recipient of the 2015 Design Miami "Design Visionary Award" and he'll be honored with a special exhibit in the D/M venue behind the convention center from December 2 through 6. A student team from Harvard was chosen to design the fair's entrance pavilion for their submission, "UNBUILT," a collection of foam models of unrealized design projects. Expect thirty five exhibitors including Firma Casa from Brazil, showing new works by the Campana Brothers, and Italian gallery Secondome,with hand-crafted limited editions. Several changes and new editions are coming to the numerous -- 18 and counting -- satellite fairs: Miami Project and Art on Paper move into the Deauville Beach Resort (6701 Collins Avenue, Miami Beach), the former site of the NADA fair; while the 13th edition of NADA heads down the street to the Fontainebleau (4441 Collins Avenue, Miami Beach). 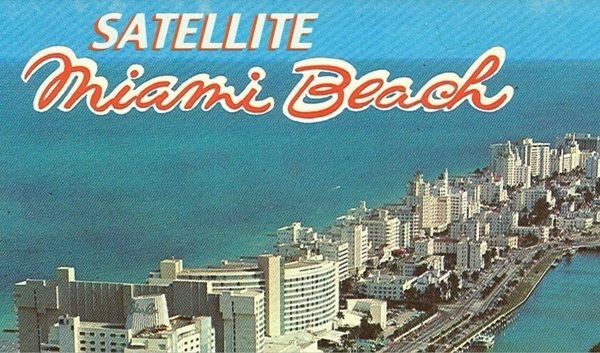 The Miami Project is also launching a new spin-off this year called SATELLITE that will show various "experimental" projects in unoccupied properties up near their 73rd Street base. One of those, "Artist-Run," will fill the rooms in the Ocean Terrace Hotel (7410 Ocean Terrace, Miami Beach) with different installations from 40 artist-run spaces, curated by Tiger Strikes Asteroid. It's open from December 2nd to 6th, with a VIP/media event on December 1st from noon to 10 p.m. ALSO: Trans-Pecos, the music venue out in Queens, New York, and Sam Hillmer from the band Zs, are putting together a 5-day music program in the North Beach Amphitheater, emphasizing "musical practitioners with some form of art practice." X Contemporary also joins the crowd with their inaugural edition in Wynwood running from December 2nd through Sunday, and a VIP opening on December 1st from 5 to 10 p.m. Twenty eight exhibitiors will be on hand, plus special projects including "Grace Hartigan: 1960 - 1965" presented by Michael Klein Arts; a look at the "genesis of street art" curated by Pamela Willoughby; and "Colombia N.O.W." presented by TIMEBAG. PULSE Miami Beach returns to Indian Beach Park (4601 Collins Avenue, Miami Beach) starting with a big "Opening Celebration" at 4 p.m. on December 1st featuring a panel discussion put together by Hyperallergic, an interactive piece by Kate Durbin called "Hello, Selfie!" and a live performance by Kalup Linzy. On December 5th, PULSE celebrates the City of Miami via a talk at 5 p.m. on "Future Visions of Miami" and a "Sunset Celebration" from 5 to 7 p.m. Fair visitors can check out "TARGET TOO," an installation referencing items sold at the stores, originally on view in NYC last March. There's a complimentary shuttle from the convention center, and the fair is open daily from 10 a.m. to 7 p.m. through Saturday. Wynwood Walls (2520 NW 2nd Avenue, Miami) has a lot planned this year including "Walls of Change" with 14 new murals and installations and the debut of a new adjacent space called "The Wynwood Walls Garden." The walls are by Case, Crash, Cryptik, el Seed, Erenest Zacharevic, Fafi, Hueman, INTI, The London Police, Logan Hicks and Ryan McGinness. Over in the "garden," the Spanish art duo Pichi & Avo are doing a mural on stacked shipping containers and in the events space, Magnus Sodamin will be painting the floors and walls. The VIP opening is on December 1st in the early evening, but then it's open to the public from 11 p.m. to 2 a.m. Goldman Properties' CEO Jessica Goldman Srebnick talks about how art transformed the Wynwood neighborhood in THIS Miami New Times piece. We also hear that New York developer (and owner of Moishe's Moving, Mana Contemporary etc.) Moishe Mana is planning a new mixed-use development on his 30 acres of land in the middle of Wynwood. The Patricia & Phillip Frost Art Museum at FIU (10975 SW 17th Street. Miami) will have 5 exhibitions featuring 4 Miami-based artists: Carola Braco, Rufina Santana, Carlos Estevez and Ramon Espantaleon. 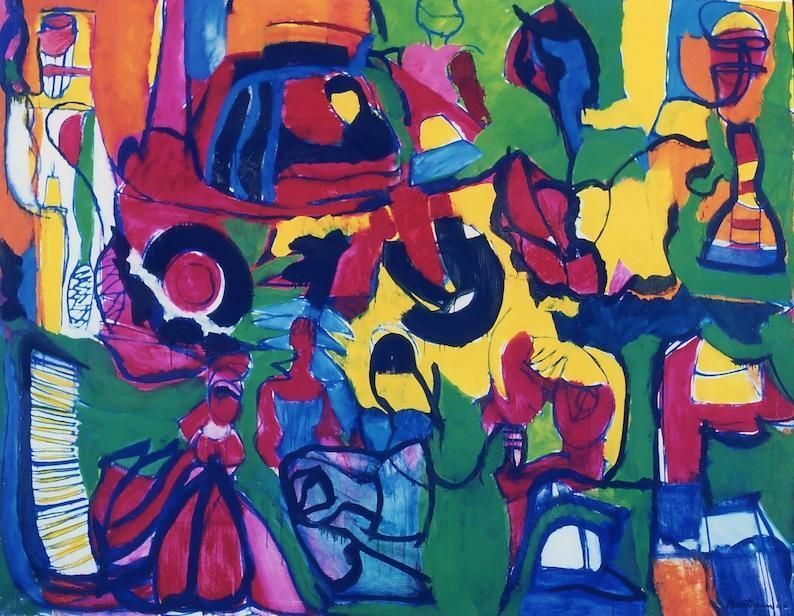 Plus there will be a show called "Walls of Color" with murals by the post-war NY artist Hans Hofmam and, this year, the annual "Breakfast in the Park" on Sunday, December 6th, 9:30 a.m. to noon, honors American sculptor Alice Aycock. The Mandarin Oriental Miami (500 Brickell Key Drive, Miami) and Peru's gallery MORBO host an exhibition called "Pure Abstraction" by American artist Alex Brewer, aka HENSE, in the hotel's Peruvian restaurant, La Mar by Gaston Acurio. 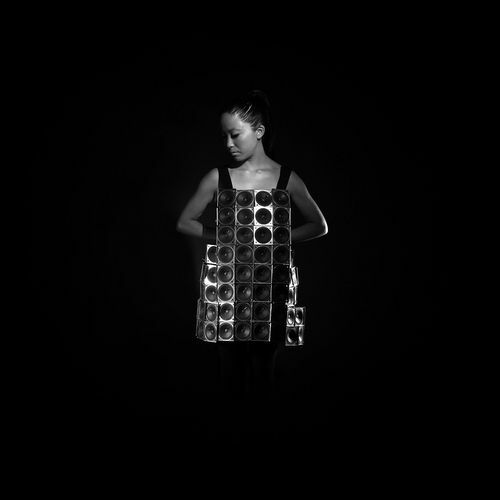 There's a VIP preview in the restaurant on December 3rd featuring a violin performance by Pauchi Sasaki who'll be wearing her dress made from speakers.